Another History on the Card? Another History on the Card? Another History on the Card? 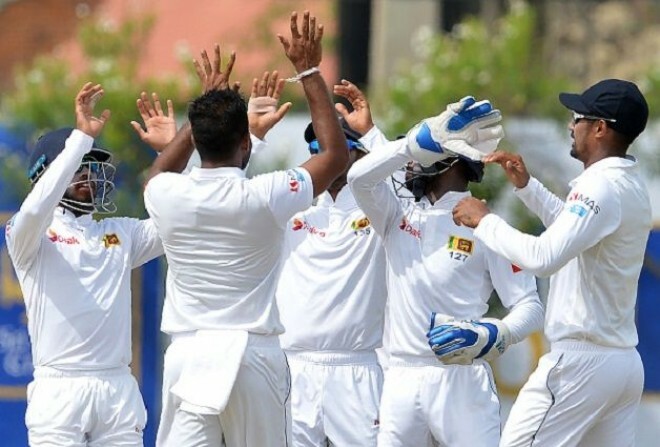 Port Elizabeth, Feb 21: When Sri Lanka will take on South Africa, they will have an eye on the History as no Asian team has won a Test series in South Africa, and doing so will require overcoming the wounded hosts and a grassy surface at St George's Park. Hosts, on the other hand, will be keen to take the revenge of the first Test. Sri Lanka will like to transfer the confidence gained from Perera's magical knock through the rest of a top order that stumbled to 90 for 5 and 110 for 5 in Durban. All their bowlers have to do is maintain the standard set in that first match. It's South Africa's last Test of the summer, and the hosts might be forgiven for letting their focus drift ever so slightly, given that there are now less than 100 days until they walk onto the field for the World Cup opener against the hosts, England. But there is also a series, and pride, on the line and if South Africa can claw back a 1-1 draw, they will also retain their No. 2 position in the Test rankings. With Vernon Philander ruled out by a hamstring strain, Wiaan Mulder could be in line for a Test debut. With a first-class batting average of 43.08, Mulder will also strengthen South Africa's batting a little and help balance the side. There is a cloud over Kusal Mendis' fitness after he rolled an ankle at practice and Sri Lanka will only clear him on the morning of the Test. Should he be unable to play, Sri Lanka may look to slot Milinda Siriwardana into their middle order or offer Angelo Perera a Test debut. St George's Park hosted the first ever Test match to be held outside England or Australia, with England winning the match by eight wickets, way back in 1889. Sri Lanka has only played one Test at this ground before, losing the Boxing Day Test of 2016 by 206 runs.